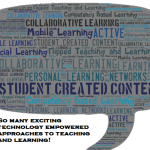 As we Enter a new School Year, Which Uses of Technology Hold the Most Promise to Impact Learning? Well, it's that time of year again … the start of a new school year. With it often comes the irresistible urge to make another list, or even better … many lists! Lists help us to plan, and they can also help us reflect and assess. One list I really enjoy putting together as we head into a new academic year is an updated look at which educational uses of technology have shown the most promise over the last year. Which tools and techniques most excite me as I look forward to another year of striving for continuous improvement as a teacher, technologist, and #edtech advocate? And as different technology uses take the spotlight, which of them are standing out a little less? So, looking back and thinking forward, here are a dozen instructional uses of technology that are the most compelling right now. Some of these are BIG ideas, driving real change in our classrooms and schools, and some are simpler concepts that are making small but meaningful changes in how we engage our students on a day to day basis. AR is just so much fun and comes in many different flavors. Everything from free or inexpensive smartphone apps to full blown 3D workstations like those from zSpace. AR is just one of the coolest educational technologies that many educators have not even come across yet! To better understand AR in the classroom, check out how these teachers and students are using augmented reality. I've heard people refer to Adaptive Learning and CBE as one and the same, but to my way of thinking, they are very related but still distinct. That being said, I've listed them here together because they are based on the same fundamental concept – learning paths and tools that can adapt to what a student knows and doesn't know, and allow them to master materials at their own pace. Adaptive Learning still has a while to go to make it to mainstream, but tools like Moby Max have led the way in the elementary and secondary levels, and now LMS's common to higher ed are increasingly seeking to add Adaptive functionality (Britespace from D2L is a good example). The pace of adoption is quickening. CBE is essentially a fundamental change to how students get credentialed, which is largely enabled by Adaptive Learning tools and pathways. CBE basically the traditional ‘clock hour' as the measurement of learning with, well … learning. SNHU's President Paul LeBlanc gives a great overview of CBE and its potential in this interview. CBE is changing higher education in a serious way, helping to decrease the cost of, and time to, degree attainment. This is a huge boost to busy working adult students. 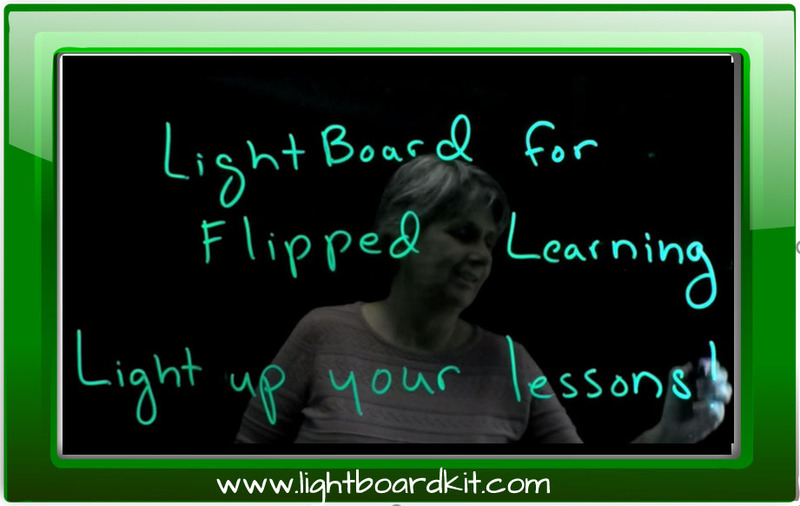 The Flipped Classroom continues to emerge as one of the most exciting grassroots movements in the academic world. Teachers all across the world are trying it and loving it. Make no mistake, the flipped classroom is no “trend” – it is a clear reflection of how technology truly can be a powerful tool for educators who are inspired to do the very best by their students. For two years running, the vaunted Horizon Report from ELI & NMH has noted the flipped classroom as being ready for widespread adoption right now, and teachers and schools have been implementing at a rapid rate! Flip on! Engaging with students and gathering feedback are two core benefits of technology in the classroom and Student Response Systems are designed to that end. While ‘SRS' technology is by no means new, it has morphed considerably over the years, and continues to evolve and emerge. The first SRS were costly proprietary clickers, but today's best SRS are free and device independent, which is opening them up to many more educators to use in their classrooms. Tools like Kahoot, Socrative, and Quiz socket enable students to participate in interactive surveys, questions, quizzes, etc., from a phone, tablet, or computer. There is also a great low-tech alternative called ‘Plickers‘ that has garnered a lot of well deserved attention. The power of today's easy to use video solutions is empowering teachers to bring the world into their classroom, and to make themselves more available to students. This is another technology that is by no means new, but it continues to evolve steadily. Thanks to the increasingly ubiquitous smartphone, video is becoming an anytime, anywhere solution. In addition to live collaboration, tools like Movenote and VoiceThread make it possible to collaborate via video asynchronously. If you aren't leveraging the power of video to bring guest speakers into your classroom, interact with other classrooms across the world, or let a home-bound student participate in class, you are missing out on a world of possibilities. I truly believe that better incorporation of social learning is vital to making online learning more engaging. 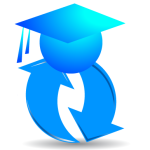 Many online programs struggle to attain retention rates similar to most in-seat programs. One of the elements generally lacking in online learning (but natural to the face-to-face classroom) is a healthy level of social interaction. When online teachers make the effort to build social interaction into the digital classroom, they create multiple opportunities to enhance engagement and improve learning outcomes. The growing adoption of online learning makes it more important than ever that online courses incorporate social interaction into their lesson plans and assignments. Not everyone has access to 3d printing yet, but I have little doubt most schools will by the end of this decade. 3D printing is an amazing “maker” tool, and teachers and schools are doing exciting things with this technology. If you don't have access to 3D printing, check your local library system and nearby universities, as many are starting to serve as hubs for 3d printing. This is one of the most commonly sought types of teaching and learning tools, and the Web delivers! 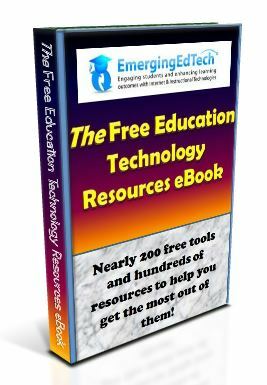 There are so many good free tools that can be used to create opportunities to collaborate via digital technology in (and out of) the classroom. Check out these 20 Fun Free Tools for Interactive Classroom Collaboration for a wide variety of tools and ideas. 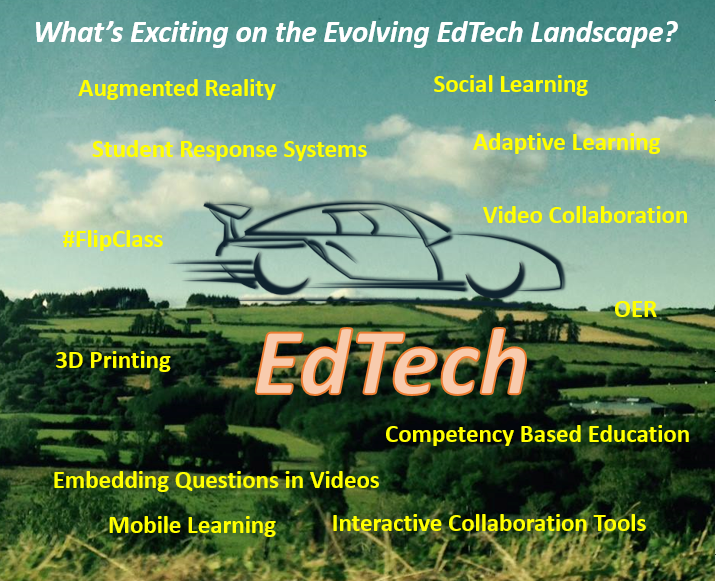 Admittedly, this is not the kind of game changing ed tech idea that others on this list are, but I still think it is worth noting. 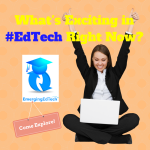 Over the last year, EdPuzzle, EduCanon, and Zaption are a few of the tools that I have seen mentioned over and over in the ed tech social media over the last year. This capability has just ‘blown up' over the last year or so, getting a lot of attention, and for good reason. What a powerful instructional idea! Take any of the kazillion videos available on YouTube (or one you made and published there) and require readers to reply to questions at any point in the video. Deliver these in a setting that reduces most of the distracting clutter of YouTube. Sound good? Heck yeah! Have you tried this yet? What are you waiting for? Click here and see how easy it is! The concept of Open Educational Resources has been around for decades, but the effort to get faculty informed and to advocate for a move to these low cost, adaptable resources has a long way to go. I did see some nice progress this year in my own little corner of the world. We have used various techniques and resources, including OER, to lower the costs of text books at The College of Westchester. I believe the future has never looked brighter for Open Educational Resources. 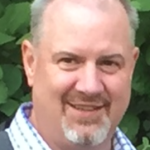 I heard (former Seton Hill CIO and current Robots-n-Pencils CEO) Phil Komarny say it quite a few years back and it often echoes in my head: “Think Mobile First or Mobile Only”. It's so true – mobile is changing everything and education is no exception. This is surely an area where we are going to continue to see big changes as the world slowly gets its head around the way the powerful devices so many of us have in our hands can seriously change how we communicate, connect, reach out, access content, research, learn, think, act, … and the list just keeps growing. If learning really can take place any time, any where, shouldn't we encourage it? This is yet another change that is happening whether we choose to acknowledge it or not. More teachers are embracing the power of this device as an instructional aid. These are the academic uses of technology that are putting a smile on my face these days, sowing hope in my heart, and inspiring my desire to help make a difference. What do you think? What excites you? What are the #edtech ideas, tools, and techniques that you think hold the most promise to make an impact and improve learning for your students? Thanks Randy – those are some great additions! I am a huge fan of coding and robotics (they can even go together nicely) in the math and science classroom! The Maker Movement is fun and powerful too and can extend to all sorts of classes. 1. Robotics. This is a growing field, and it is having a huge impact in the classroom, particularly as more, often less expensive options emerge. It is a great tool for teaching math, science, communication, problem solving, and critical thinking. 2. Coding. Okay, it’s not new or emerging. However, the approach to teaching/learning coding has evolved in a big way, moving from writing line after line of text to using visual, click-and-drag interfaces that initially focus more on the broader concepts involved in programming. 3. Maker technologies. Tinkering, inventing, designing, etc. This is a very broad category, and it includes more technologies than I could mention. A few include MakeyMakey, Arduino, Lilypad, Rapberry Pi, Circuit Stickers, Squishy Circuits, etc. It’s growth in the past 2 years or so has been nothing short of astounding. Benefits to students include fostering creativity and imaginative thinking and genuine, open-ended problem solving.